The Federal Motor Carrier Safety Administration (FMCSA) released an annual analysis that estimates that commercial vehicle roadside safety inspection and traffic enforcement programs saved 472 lives in 2012. Since 2001, these programs have saved more than 7,000 lives. Related: Are Increased Inspections Missing the Point? 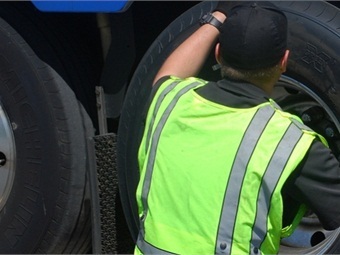 FMCSA’s annual Roadside Intervention Effectiveness Model analysis estimates that in 2012 — the most recent year in which data is available — these life-saving safety programs also prevented nearly 9,000 injuries from more than 14,000 crashes involving large commercial trucks and buses. In all 50 states, the District of Columbia, and in all U.S. territories, federal, state, and municipal commercial vehicle safety inspectors that are trained and certified conduct thousands of unannounced roadside safety inspections on commercial trucks, buses and their drivers on a daily basis. 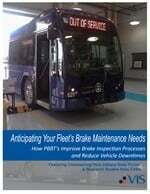 Annually, more than 3.5 million such inspections are conducted. Commercial vehicles that fail inspection are immediately placed out-of-service and not allowed to potentially endanger the lives of the drivers and of the motoring public. Similarly, commercial drivers who are not compliant with critical safety requirements are also immediately placed out-of-service and not allowed to continue driving.